Design Inspiration builds websites that help your business produce business. The kind of web design that generates results. We take care of all the boring stuff like buying and renewing domain names, sorting out hosting, and setting up email for you. We take care of everything so you can get on with running your business. Rely on our web design to make you stand out. We’ve spent over 24 years building successful websites for all kinds of businesses including hotels, restaurants, online shops, letting agents, doctors and accountants. What they all have in common is our philosophy: your success is our success. We do our absolute best to give you a website that inspires customers to call you. Is your website doing its job? Is it producing enquiries? Does your competition hate how good it looks? Is it properly integrated with your business strategy? Design Inspiration specialises in improving under-performing websites. First, we analyse your website. Next, we talk with you to establish how your site can enhance your business goals. Then we produce a web design improvement plan and discuss it with you. Once we have your approval, we create the new website. Afterwards, we work with you to review and improve your site. 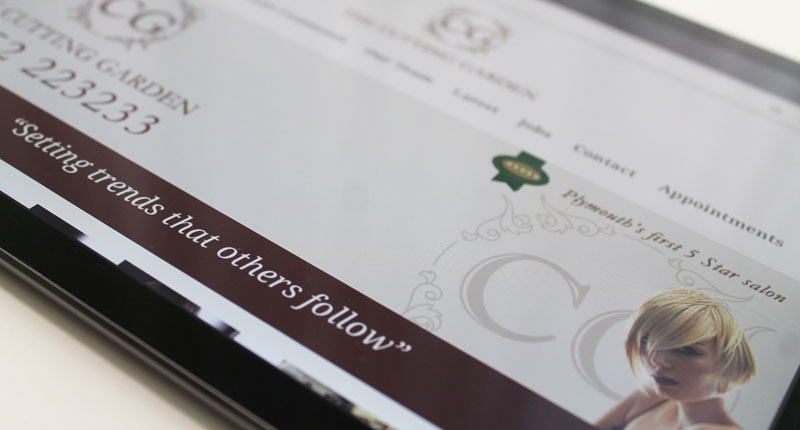 Send us a quick enquiry to find out more about Design Inspiration’s Web Design Service. Send a quick enquiry to find out more about Design Inspiration’s Web Design Service. Over the past 24 years we have learnt that creating a truly successful website takes both you and us. That’s why we work closely with you on your site. Anyone can build a mediocre website. But we don’t design anything mediocre. Design Inspiration has been designing professional websites since 1993. We were one of the first agencies to offer website design in Plymouth. We bring every second of that experience to bear on every project we work on. Creating a successful business website involves so much more than design. That’s why we spend as much time understanding your business as we do designing your website.